Using the AVISYNTH Frameserver Plugin to Premiere you can use any encoder like TMPGEnc without creating a temporarily AVI. Note!! 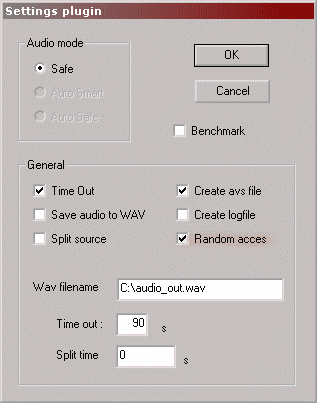 This method is using avisynth beta plugin and may not work that good for all. You can then try the other more updated Premiere FrameServe guide. 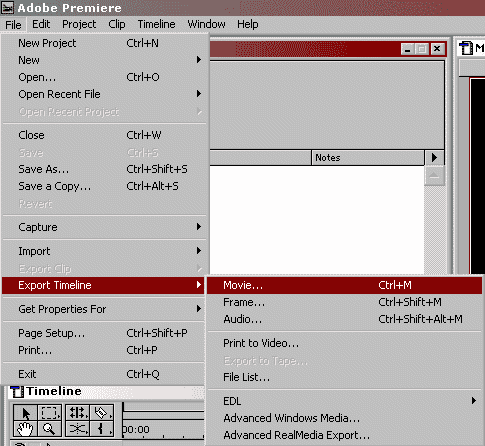 Tools you need: Adobe Premiere 6 / avisynth beta with plugin and any MPEG Encoder. Just copy the Cm-avisynth.cm.flask in the Flask dir. If you want to use it within Premiere just rename it to Cm-avisynth.cm.prm and move it in the plugin dir. Avisynth consists in its entirety of a single DLL and a few entries in the Registry. Once you've unpacked the distribution archive, just move avisynth.dll to your windows\system directory and double-click the install.reg file. After you have edit everything in Premiere you are ready to export the movie. Select Link to Avisynth under File Type and select Advanced Settings. Select Random access and hit OK and OK again under the Export Movie Settings to come back to the Save dialog. Save the file as anything it doesnt matter, it wont create a file. Now should this this windows appear. Now has AVISYNTH createad a part0.avs in C:\ that You can test to open with windows media player and it should play(very slow though). And don't hit Stop serving until you have encoded.